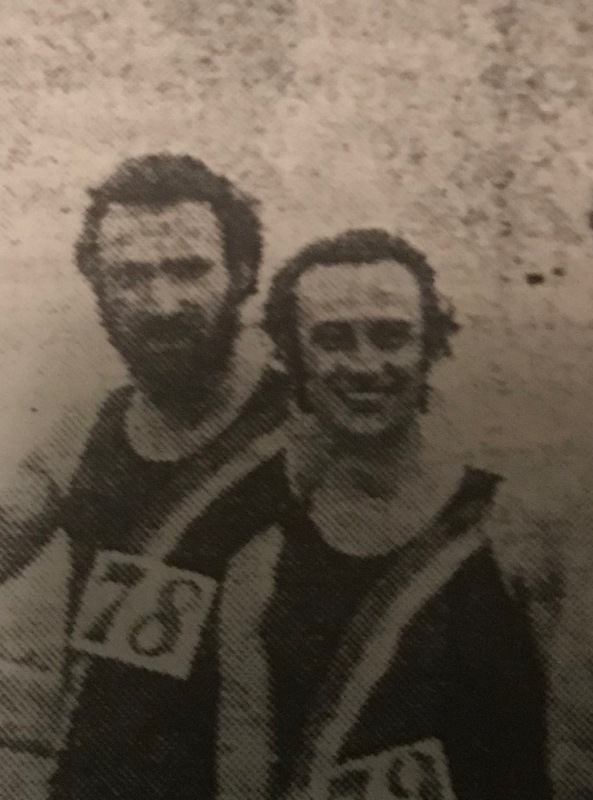 Three Peaks Fell Race 1969 – A great moment in Harriers history! | Rochdale Harriers & A.C.
Three Peaks Fell Race 1969 – A great moment in Harriers history! On page 118 of “Milestones” Joe Salt’s history of the first one hundred years of Rochdale Harriers and Athletics Club it is briefly mentioned that “for the first time Rochdale won the ‘Three Peaks’ Fell Race (overall time – 8 hours 41 minutes 13 seconds); Colin winning in 2 hours 44 minutes and 44 seconds”. The year was 1969. Colin beat a young Jeff Norman of Altrincham by 13 seconds, with the pair of them more than two minutes ahead of third place finisher and four-time winner, Mike Davies of Reading AC. Norman would go on to win six consecutive Three Peaks Races between 1970 and 1975, run in the 1976 Olympic Marathon and set world records for 50k on both track and road. Behind Colin, Rochdale Harriers Trevor Proctor and Gordon Fisher finished 5thand 9thin 2:54:15 and 3:02:14 respectively, to bring home the team prize. Those of us that have been part of the Rochdale Harriers family for a while will be well aware of the huge contribution that Colin has made to the club and the wider athletics community, but his modesty sometimes means that it takes new members a little while to realize just how great has athletic achievements were. Colin won many races on the track, road, cross-country and fells, representing both club and country numerous times, in addition to his Three Peaks victory, perhaps his most notable victories where at the 1961 National Cross Country Championships at Parliament Hill in London, where he won the Junior (U23) title and was selected to run for England at the International Cross Country Championships (replaced by World Cross Country Championships in 1973) at Nantes in France, where he won the Junior title, leading England to the team prize. 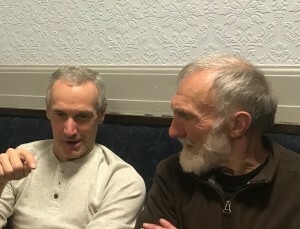 The 2019 Three Peaks Race on 27thApril will mark fifty years since Colin’s victory and he will be the guest of the organisers. Four Harriers are already entered for the race, including Club Captains Richard Stirzaker and Jill Barton, hopefully within the next couple of weeks, a few others will have met the qualification criteria and will be ready to challenge themselves against the 23 mile course. It is extremely unlikely that the current crop of Harriers will come close to the performances of Colin, Trevor and Gordon fifty years ago, although our ladies will almost certainly fair better, as in 1969 they would have to wait another ten years before they would be allowed to run. In addition to Colin and those running, a group of us will be travelling over to North Yorkshire to support our competitors and celebrate the anniversary of one of the most significant events in our clubs history.